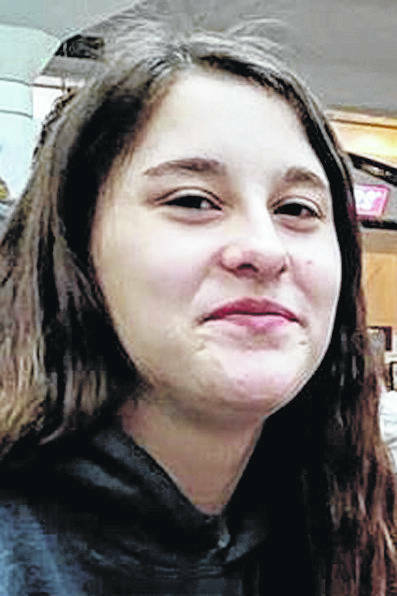 TROY — Troy Police Department officers are actively searching for a runaway 14-year-old girl from Troy. Devyn Oliver is an eighth-grade student, 5-foot-7-inches tall, 120 pounds. Oliver has long brown hair, braces and hazel eyes. She was last seen wearing a pair of black Hollister pants with a white line down the legs and a dark sweatshirt. According to Capt. Joe Long, the teen’s parents reported she didn’t come home and is in the area. Long said the juvenile has a long history of unruly charges, including multiple charges in the last two months. Long said the teen failed to return home on her own accord and is not believed to be in danger. Long also said if adults are assisting the teen, they may face contributing to the delinquency of a minor, which is a misdemeanor offense. ”If anyone has any information about her whereabouts, we’d love to talk to them,” Long said. If anyone has any information call Troy Police at 339-7525 or the Miami County 9-1-1 non-emergency at 440-9911.